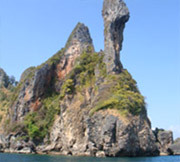 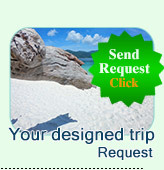 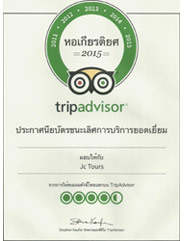 Surrounding Andaman Sea by Speed Boat: 2 days 1 Night. 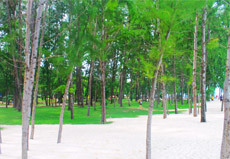 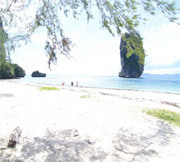 "For sure by this package, you will touch every beautiful Atom of Andaman Sea"
Bamboo Island (Koh Mai Phai) is always the paradise of the people who love the Sand, Sea, Sun and Snorkeling Excursion. 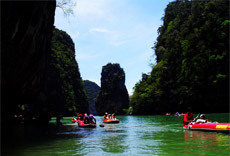 Stop for funny Canoeing at "Tham Lod to see the beautiful cave and mangrove Safari at Phang Nga Bay." 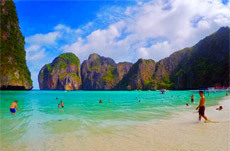 The difference time to visit "Maya Bay", you will meet the very private atmosphere-the other tourist came back home already. 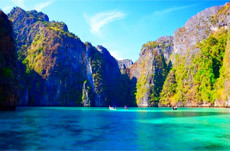 Just our group still is discovering the places. 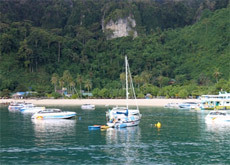 Porda Island , Chicken Island and Separated sea is the most popular beautiful place to visit at Krabi. 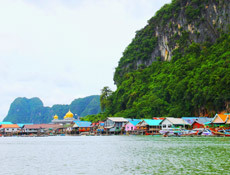 We drop off there to discover all the places. 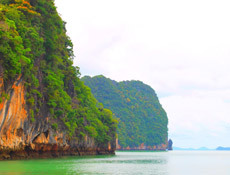 Hong Island at Krabi, there is no any word in the language can explain that "How much beautiful is?" 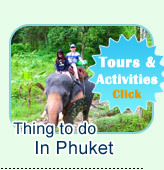 For sure that you will never forget it after one time visited. 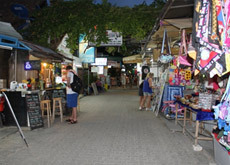 We are being over night on PP Island-the most popular destination of the world's tourist.